The need for photography in the real estate industry is to entice the customer to the property, at least initially, by the beauty of the property and to enable them to project the property in the various media for the purpose of public exposure. The role played by a visually appealing beautiful photograph of the exterior and the interiors of a property on a viewer is self-evident. A photo, whether taken by a professional photographer or an amateur has many shortcomings, because of the many constraints inherent in real estate photography. Many like the appearance of the sky, lighting, the angles are all, often than not, beyond the control of the photographer. Hence to get the required visual appeal calls for photo processing. Photo processing involves many delicate and complicated steps, each of which is specialized. It is here the expertise of a professional group like Photo Editing India comes handy. 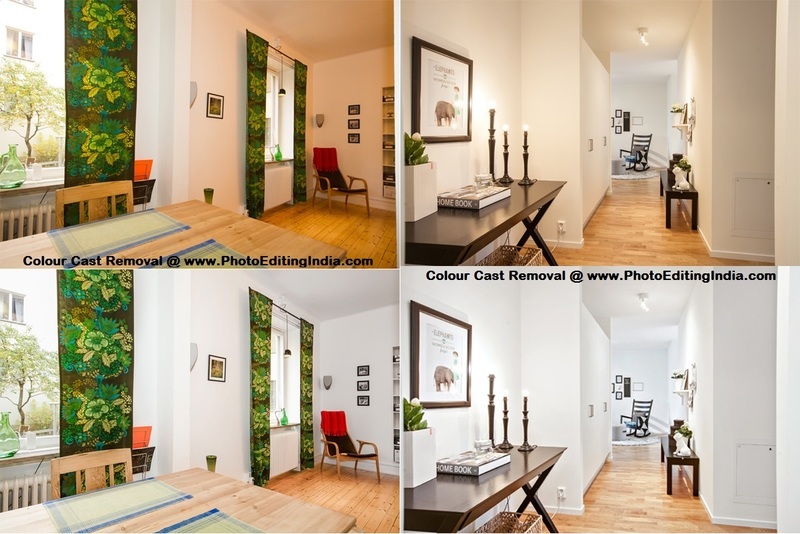 Real Estate Photography and the associated Real Estate Photo Processing has become a high tech art and the help of Photo Editing Services from established service providers like PHOTO EDITING INDIA has become both essential and cost effective. The way one sees an object is by the light reflected from the object. Therefore, the appearance will depend on the color of the light falling on the object. The combination of human eye and the brain automatically adjust for this to a large extent. However the camera is incapable of doing this even if it is sophisticated though it reduces this to a considerable extent and often you may not notice them. You can often see a color cast as a tint of a particular color, usually unwanted, which affects the whole of a photographic image evenly. 2. Compensate for color temperature. If the image contains a white or gray object, then we can transform the colors of the entire image, to ensure that the object appears white. Many photography programs, such as Adobe Photoshop, Adobe LightRoom, Olympus Studio, offer a tool that can sample the color of a pixel or of a small region, and transform the image so that the pixel or region appears neutral in color (white or gray). To use the tool, simply select a portion of the image that is white (a white shirt, white socks, sheets of paper, and so forth). If you use Gimp, you can use the White balance script to perform this correction. Even if there is no white or gray object in the image, you can still eliminate or reduce color casts by transforming the image colors. One particularly effective way of doing this is to change the color temperature of an image. Light from "hot" objects, such as the sun, or an incandescent bulb, has a color composition that depends on the object's temperature in a way that is precisely known. A physics equation, known as the law of black-body radiation describes the intensity of each color as a function of the object's temperature. This principle is used to correct the colors and remove the color cast. These corrections are done using powerful tools and by people of a very high level of skill and knowledge. 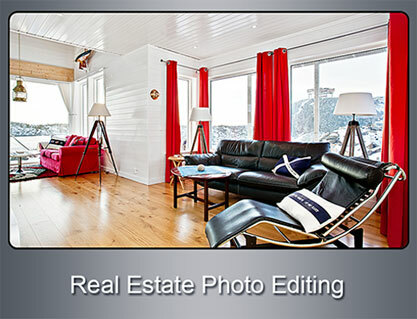 From the above it should be clear that real estate photography, real estate photo editing and image processing is highly technical and professional work. If large volume of work is to be done in short time it is imperative to take the help of professional service providers. One such group known for expertise, quality and meeting time schedules is PHOTO EDITING INDIA. They have well established top of the shelf infrastructure for the whole gamut of processing manned by highly skilled and experienced Professional Image Processing artists.